378 pages | 37 B/W Illus. A growing body of research evidence suggests that physical activity can have a positive effect on educational achievement. 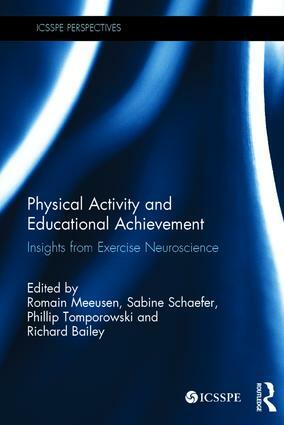 This book examines a range of processes associated with physical activity that are of relevance to those working in education – including cognition, learning, memory, attention, mood, stress and mental health symptoms – and draws on the latest insights from exercise neuroscience to help explain the evidence. With contributions from leading scientists and educationalists from around the world, this book cuts through the myths to interrogate the relationship between physical activity and educational achievement in children, adolescents and young adults in a variety of cultural and geographical contexts. Examining both the benefits and risks associated with physical activity from the perspectives of exercise science and educational psychology, it also looks ahead to ask what the limits of this research might be and what effects it might have on the future practice of education. Physical Activity and Educational Achievement: Insights from Exercise Neuroscience is fascinating reading for any student, academic or practitioner with an interest in exercise science and education. 6. The Motor-Cognitive Connection: Indicator of Future Developmental Success in Children and Adolescents? 17. Different Solutions from Finnish and Danish School Systems for Increasing School-Day Physical Activity and Supporting Learning: A Top-Down or Bottom-Up Approach? Romain Meeusen is Head of the Department of Human Physiology at the Vrije Universiteit Brussel, Belgium. Sabine Schaefer isHead of the Department of Motion Science, Motor Science and Cognition, Saarland University, Germany. Phillip Tomporowski is a Professor of Kinesiology at the University of Georgia, USA. Richard Bailey is Senior Researcher at the International Council of Sport Science and Physical Education (ICSSPE) based in Berlin, Germany. A multidisciplinary, theme-oriented monograph series addressing issues relevant to sport science and physical education. Experts from several different sport science disciplines contribute their views to each topic area.